in GBP, GBP to NZD. At the time of writing the GBP/NZD exchange rate is currently up by 0.7% today, reversing nearly all of the pairing losses on Tuesday. 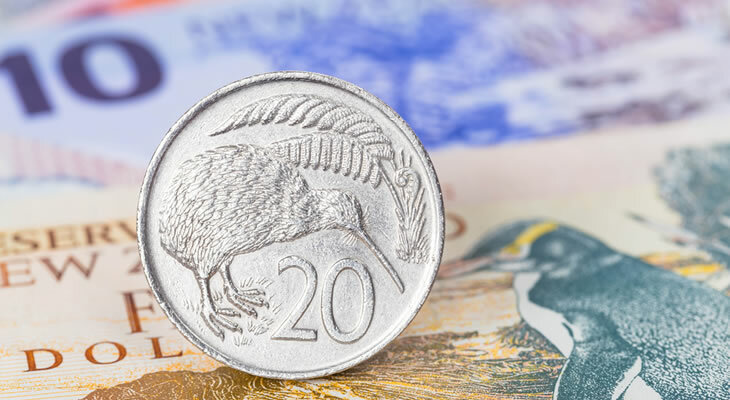 The New Zealand Dollar (NZD) tumbled against the Pound (GBP) and the majority of its other peers overnight on Tuesday following a marked pullback in market risk appetite. This comes in the wake of a speech by Reserve Bank of Australia (RBA) Governor Philip Lowe in which he stated that a rate cut is on the table for the bank this year. Previously Lowe had said that he expected the next rate move from the bank would be up, but speaking for the first time in 2019 he suggested that the chances of a rate hike are ‘evenly balanced’ with a rate cut. This prompted the Australian Dollar (AUD) to nosedive over 1% overnight, whilst also dragging down other risk-sensitive currencies such as the ‘Kiwi’. Brexit to Limit Upside to the Pound (GBP)? Meanwhile while the Pound (GBP) is showing strength today, investors remain concerned over the current state of Brexit. Theresa May will travel to Brussels to talks with European Commission President Jean-Claude Juncker on Thursday in an effort to find an alternative to the Brexit backstop. However with the EU maintaining its position that it is not open to renegotiations, hopes of progress remain slim, likely dampening the appeal of Sterling. GBP/NZD Exchange Rate Forecast: BoE to Scrap 2019 Rate Hike? Looking ahead, the Pound New Zealand Dollar (GBP/NZD) exchange rate may fall back again on Thursday following the conclusion of the Bank of England’s latest policy meeting. While the first meeting of 2019 is not expected to result in any policy changes from the BoE, economists forecast that the bank could signal that it is ditching plans for a rate hike in 2019, citing heightened Brexit and global uncertainty. In the meantime, New Zealand will publish its latest jobs report later tonight, with analysts predicting that employment growth will have slowed sharply in the fourth quarter, likely reversing the recent drop in the unemployment rate and denting the ‘Kiwi’.